22 Gauge, 5 lb. Spools. Comes in a case of 8 spools. 24 Gauge, 5 lb. Spool. Also available in a 40 lb. box of 8 spools. 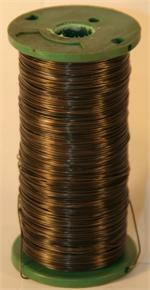 The core wire is 17 gauge and comes on a 20 lb spool which is about 1/2 mile of wire. It is black annealed so it blend well with the garland. Comes on a sturdy metal spool. 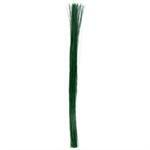 Florist wire is cut to length wire in 18 inch and 24 inch lengths. It is available in 20 gauge, 22 gauge, and 24 gauge thickness. There is 12 lb per box. There is 4 boxes per case. 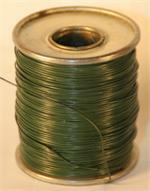 Our green wire is available on 1lb or 5lb spools and as 22 gauge or 24 gauge. Paddle wire is the most economical choice for wrapping hand tie wreaths. The wire is wound on to a 4 inch x1 inch hardwood paddle, which fits perfectly into your hand. Available in 20, 22, and 24 gauge. 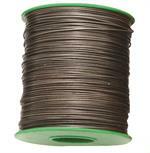 Spool wire is available in 20 gauge ,22 gauge, and 24 gauge. You can also get the wire green painted. All spool wire comes on a 1/2 pound plastic spool.